This is the annual Handbell Choir Concert. 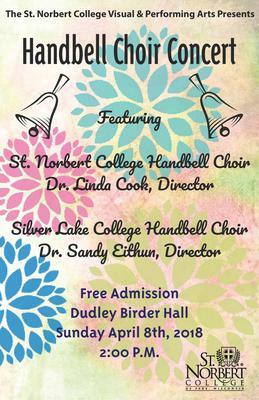 This concert features both the St. Norbert College Handbell Choir and the Silver Lake College Handbell Choir. The concert is performed in Dudley Birder Hall. St. Norbert College Music Department, "Handbell Choir Concert" (2018). Music Performances. 62.